Apartment inside a Villa. Totally surrounded by greenery and renovated for just a month. 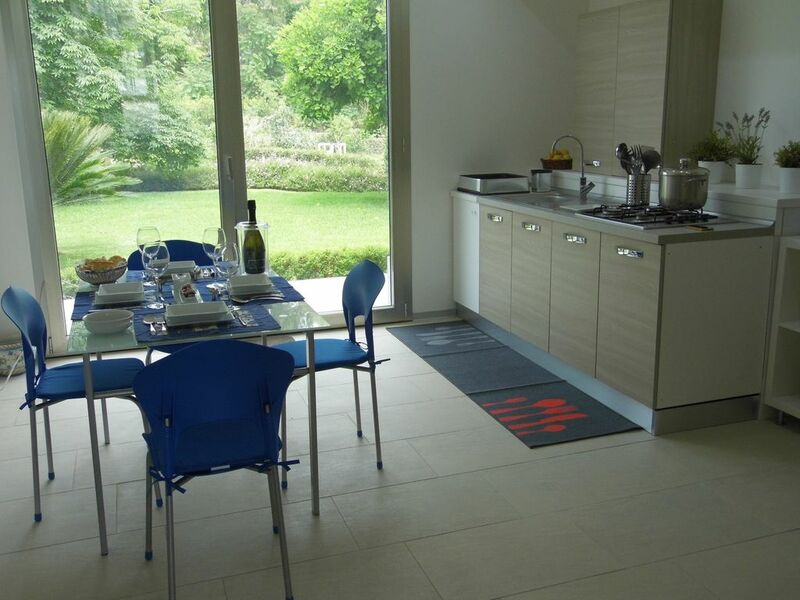 Villa of recent construction, equipped with the most modern comforts and in full respect of nature. Etna, sea and Taormina just minutes from our home. A large lawn to relax, sunbathe, have lunch and let your children play. All surrounded by the best wine cellars of Etna with the possibility of visiting and tasting. Shower, washbasin, bidet, WC, Phone, shampoo and bubble bath, complete set towels. You can taste our products: wine, honey and jams, 100 x 100 BIO. Giuseppe and Rafaella made us feel very welcome and relaxed. The view of Etna was amazing, we spent time just staring at the view. Good information about where to find various shops markets and restaurants. Giuseppe was always available to provide extra details where we needed them. This was a great location for the 2 of us to explore all of the eastern side of Sicily. A few minutes away from the main road at Giarre and close to the Porto d'Etna with local produce fish and meat markets. A fabulous selection of wines and some great restaurants. We had 3 very relaxing weeks in late April and early may. We wanted to buy and cook local produce to get a taste of Sicily through food as well as culture. The kitchen was perfect for us. We would recommend this location for peace and quiet relaxed and away from it all vacation. Anne and Paul: two wonderful people. Thanks to their friendliness and friendliness. Unfortunately we have not been able to communicate a lot with them because of our lack of presence and we apologize for this. We are pleased to know that it was a peaceful and unforgettable holiday for them. We look forward to hosting them again. Thank you for the huge order, cleanliness and care with which you left the apartment. Our family of 4 had a great time staying in this beautiful home. It was just like the pictures. There was more than enough space for us. Our boys really enjoyed playing in the yard and with the foosball table and the sports equipment. The home was close to Mt. Etna and other attractions. We would recommend this place to other travelers. The owners were also very kind and helpful. They made us feel very welcome and comfortable. Tara and Tony: Two gorgeous guys with two wonderful kids. We greatly appreciated their kindness, education, discretion and their communicability. Tony speaks perfectly Italian. Cherry on the cake: the order and the cleansing with which they left the apartment. We are sorry to see you leave but we hope to meet you again in their beautiful and cool Vancouver. Alicia and Ian are two wonderful people who have left a mark in our hearts. Even for us, their departure has been experienced as a detachment. We welcomed them as guests and greeted them as friends. We hope to meet you again in their wonderful Australia. Discreet, silent, friendly, sociable and extremely communicative despite my bad english and after their departure .......... another fantastic surprise: perfectly refurbished and clean apartment. Alicia e Ian sono due persone meravigliose che hanno lasciato un segno nei nostri cuori. Anche per noi, la loro partenza è stato vissuta come un distacco. Li abbiamo accolti come ospiti e li abbiamo salutati come amici. Ci auguriamo di poterLi incontrare ancora magari nella Loro splendida Australia. Discreti, silenziosi, gentili, socievoli ed estremamente comunicativi nonostante il mio pessimo inglese e dopo la loro partenza .......... altra fantastica sorpresa : appartamento perfettamente riordinato e pulito. We had a lovely ten days at 'Etna Flower'. The house is amazing and the grounds gorgeous with views of Mt Etna in the distance. The owners, Giuseppe and Raffaella couldn't do enough for us. We would definitely recommend Etna Flower to friends. Molto felici di aver ospitato Patricia e Ron. Discreti e riservati, hanno lasciato l'appartamento estremamente pulito. Ci auguriamo di poterli ospitare ancora. L'appartamento è parte integrante di una bellissima grande villa dove abitano anche i proprietari. Molto luminoso; si affaccia con grandi vetrate direttamente sul giardino . Pulito e ordinato, con ottimo spazio di vivibilità completato da un arredamento curato e funzionale. La posizione logistica è perfetta per visitare tutto il circondario e per accedere a tutti i servizi del territorio facilmente raggiungibili in auto. La gentilezza dei propritari Giuseppe e Raffaela, discreti e professioanali,completano un servizio di qualita'. Abbiamo conosciuto due persone meravigliose ! Guerrino e Sua moglie hanno lasciato un segno indelebile in noi grazie alla Loro immensa cordialità, gentilezza e signorilità. Simpatici, cortesi, discreti, per non parlare dell'ordine e dell' estrema pulizia con cui hanno lasciato l'appartamento. Cosa desiderare di più !!! OspitarLi è stato un vero piacere e ci auguriamo di poterlo fare ancora molto presto. Thanks to Tobias and his partner: wonderful guys. We really appreciated their kindness, discretion and refinement. Thank you for leaving the apartment very clean. Hosting them was really a great pleasure and we can not wait to welcome them again. Thank you. The property is surrounded by centuries-old vineyards and wineries with production of excellent wines. The famous "Wine Road" that runs right past our house.